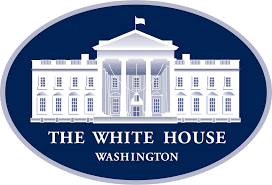 The White House is weighing in on the growing use of non-compete agreements and how they can negatively affect competition, individual workers and the overall economy. Once a tool reserved for top executives, the 16-page report released earlier this week details how non-compete agreements are becoming more commonplace for low-wage, less-skilled workers. Non-compete agreements are a focus of my work and one of my favorite topics for discussion. These agreements can be valuable tools in the marketplace. They help protect company trade secrets, which promotes innovation. They also may encourage a company to invest more in specialized training for employees by reducing the possibility that the employee will leave the company. But as the White House notes, with nearly a fifth of U.S. workers, including many low-wage employees, currently covered by non-competes, these agreements are likely being used in situations where they aren’t necessary. In addition to reducing job mobility and worker bargaining power, non-competes can negatively impact other companies by constricting the labor pool from which to hire. Non-competes may also prevent workers from launching new companies. Some critics also argue that non-competes can actually stifle innovation by reducing the diffusion of skills and ideas between companies within a region, which can in turn impact economic growth. Non-compete agreements may also have a detrimental effect on consumer well-being by restricting consumer choice. Based on the impacts of unnecessary non-competes for workers, consumers, and the broader economy, several states have passed, and many others are currently weighing reforms to the ways non-compete agreements are regulated. Federal legislation has also been proposed to limit the use of non-compete agreements in low-wage fields where they are less likely to have valid uses. As I wrote earlier this year when the U.S. Treasury Department released its report on non-competes, I work with many executives who are required to sign such agreements. These individuals generally have access to important confidential information, receive specialized training and are well-compensated, often with stock options and equity interests. However, I still have argued in some cases for more flexible agreements to allow my client greater mobility and career growth. I can understand a company wanting to protect its confidential information and investment in top workers, but what if the company’s chief goal is to keep customers? Is the use of a non-compete a fair tool in these cases? For example, let’s say a popular hair stylist gets a lucrative offer to move to a new salon. Devoted customers often follow the stylist to the new shop. But what happens if a stylist is covered by a non-compete? Is the existing salon trying to protect confidential information and/or training, or is it using a non-compete merely to keep customers? I have deep concerns about a non-compete agreement being used in cases to preserve a company’s relationship with the customer through a well-regarded employee. You just can’t own someone else’s personality. And using a non-compete in this way is really just a thinly veiled attempt at stifling competition, hardly a laudable or even legitimate purpose. While I support a company’s effort to protect confidential information and the investment in specialized training, I think we are straying too far from the original – and reasonable – uses for these agreements. Employee mobility is a good thing in the U.S. for the individual, consumers and competition. The White House, the Treasuring Department and Labor Department are expected to convene a group of experts in the coming months to further discuss non-compete agreements and their consequences. Stay tuned. This entry was posted in Business Continuity, CEOs, Confidential Information, Covenants Not to Compete, Executive contracts, Non-Competes, Uncategorized and tagged confidentiality agreements, covenant not to compete, executive, executive compensation, executive employment, non-compete agreements. Bookmark the permalink.